Happy 2018! I hope everyone had a great time ringing in the new year. Friends of mine hosted a small get together, so I spent the first part of the evening with close friends, then was home by 10pm to put the twins to bed. Mike and I watched the ball drop from the comfort of our couch, which ended up being a perfect evening. 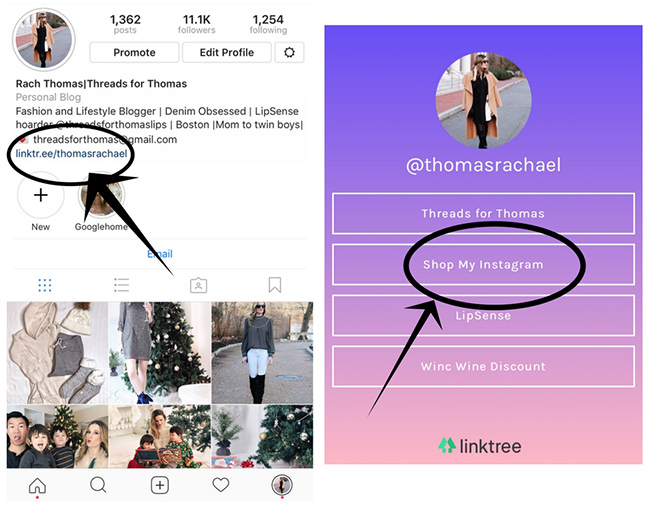 It was brought to my attention this past weekend, that some of my friends and readers are unclear about how to use LIKEtoKNOW.it, and shop the photos that I post to my Instagram. 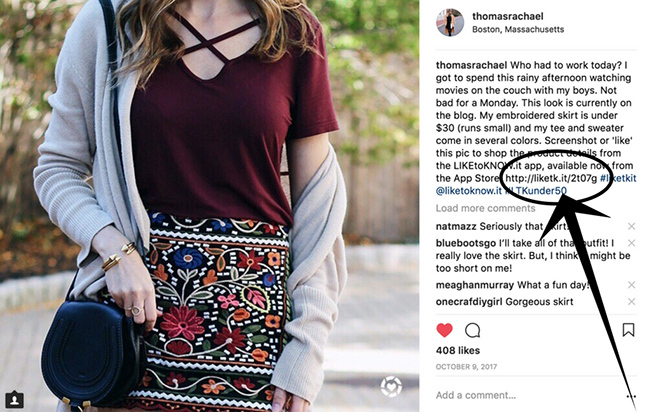 Because of this, I thought that I would start the new year by giving a simple tutorial on how to shop my posts, and share my top 10 Instagram posts from 2017. 1. With LIKEtoKNOW.it. First download the LIKEtoKNOW.it APP (available from the APP store). Once you have an account set up, anytime you screenshot a photo, it will instantly be available in the APP. Another way is to follow me @thomasrachael in the APP. That way you can shop my daily looks at any time, all in one place! 2. The second way is to use the direct ink in my Instagram post. Copy and paste the link into your browser, and it will take you right to the photo where I have all items liked via LIKEtoKNOW.it. 3. I know some of you don't like to use LIKEtoKNOW.it, and that's not a problem! I've made shopping my Instagram easy, without having to sign up for the service or use the APP. 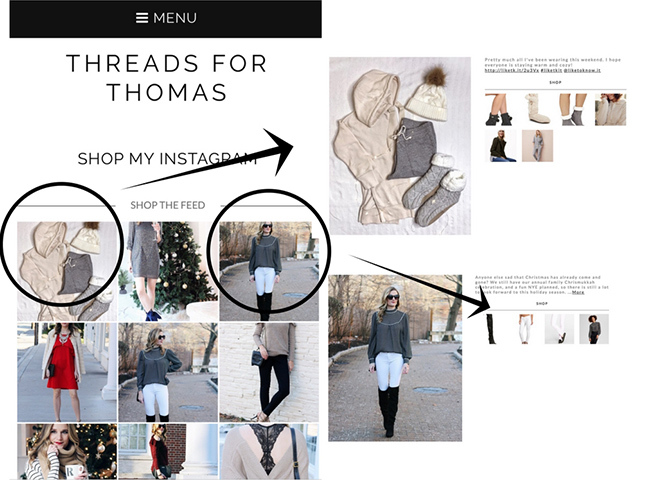 Simply visit Threads for Thomas, and click on the Shop My Instagram tab in the menu bar. 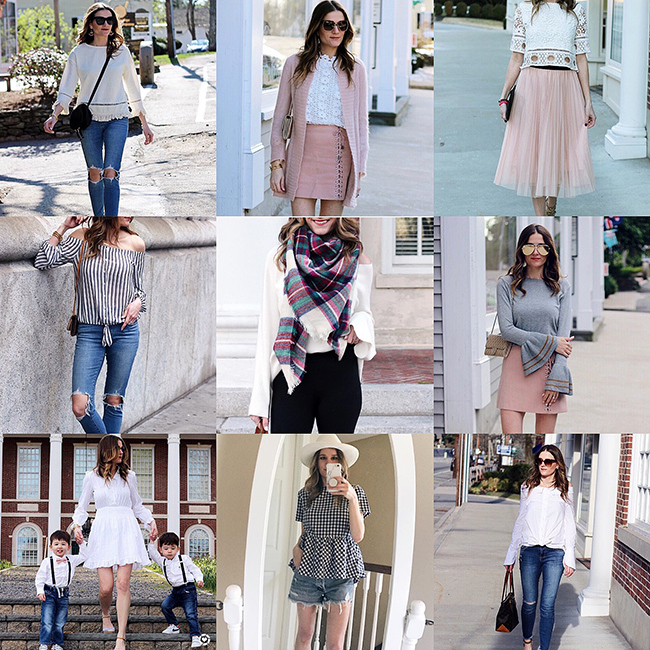 This is where you will find all my latest Instagram outfit post. Simply click on the outfit you would like details for, and they'll all be listed with links for you to shop! I've also made it easy if you're coming right from the Instagram APP. Click the link in my Instagram profile, then click on Shop My Instagram. That will take you directly to the page where my outfits are all listed. Again, click on the photo with the outfit that you would like details for, and they'll all be listed with links to shop. If you have any questions about a product, fit, or just in general how to shop, please let me know. You can email me, or send me a direct message on Instagram. Also, I love hearing your feedback on any of the products that you purchase for yourself! When you use my links, I do make a small commission, which makes this blog possible. So thank you for shopping through me, as your support means the world! 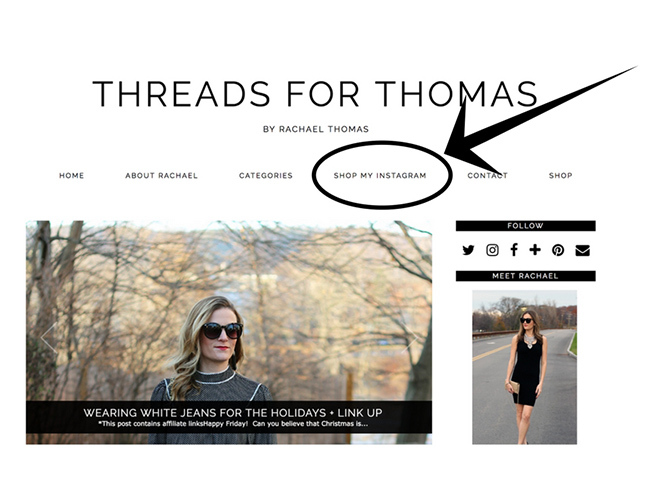 I would love for you to follow along on Instagram, as I post my everyday looks that don't always make it to the blog (@thomasrachael). Wishing everyone a healthy and joyful 2018! I wan those jeans of yours in the first picture! They are so cute and are perfectly distressed! Happy new year! Hope that 2018 has started nicely for you! Mine has been so enjoyable as I'm still on leave from work so I'm taking the opportunity to relax! You can never go wrong with jeans and tee! Ready to follow along during 2018! Happy New Year! I didn t know either how it works! Thanks. I love seeing your fabulous instagram posts! 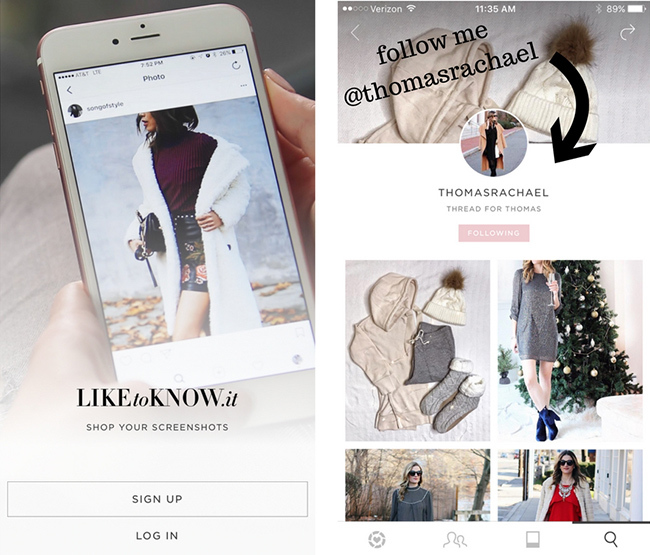 LIKEtoKNOW.it is such a great app for finding items you see on your favorite instagramers! happy new year! fun post! Basic tee and jeans will never get old. Btw, thanks for the tips dear. I love all of these tips, sometimes I like shopping on my phone other times my laptop, it's great to have variety. Love your outfit!